Rugby League 19 – Fascinating matches and opportunities for you to discover the most intense sport in the history of the world. Coming to the challenges of the game, you will become a professional player and participate in exciting matches to win. With five tournaments and more than 150 clubs from many countries around the world will bring you the most exciting and addictive experience. 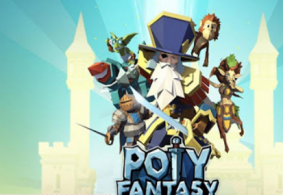 Currently, the game is available on Googleplay and is officially released by Distinctive Games with the latest updated version on April 2, 2019. 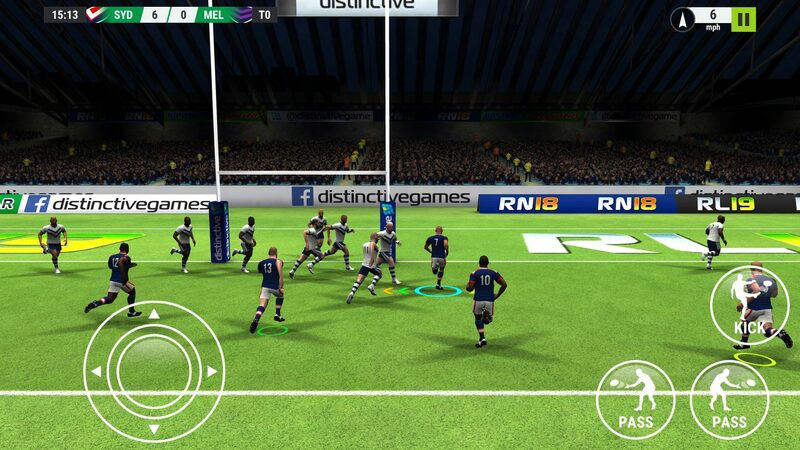 Rugby League 19 for iOS brings exciting sports challenges with many clubs and famous players for you to collect. In particular, when participating in exploring tournaments related to rugby. Players will discover two positions as coaches and professional players. In the coaching position, you will be responsible for developing and helping the club win the five leagues. As for the position of professional players, you have the opportunity to participate in large stadiums with thousands of cheers. With over 32 unique missions of 5 different tournaments, you have to compete constantly with many different opponents. To beat other clubs, you need to own a science development strategy for your club. With a good strategy, you can own many talented players from training or recruiting from the player transfer market. 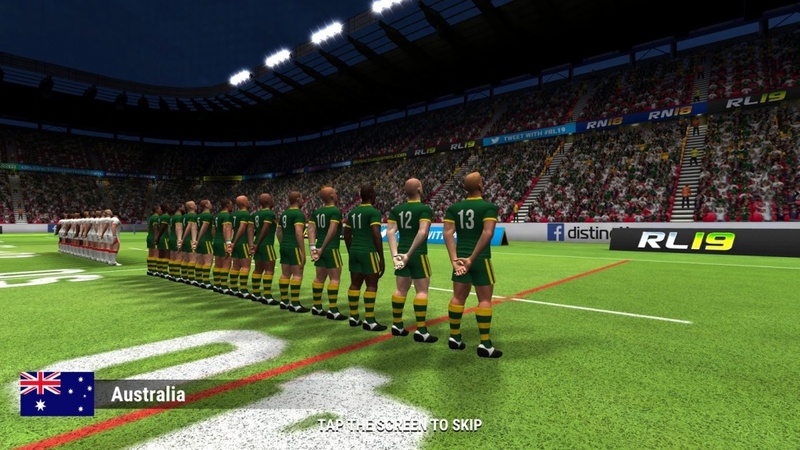 Before taking part in matches, you will have to make a selection of players to compete and arrange your formation. In each match, you need to arrange two teams to attack and defend. In the attacking squad, you need to select players with good mobility and fast speed to overcome the opponent’s defensive lineup. Conversely, in the defensive formation, you need to have players with good observation ability to prevent enemy attacks. So for every match and different enemy, you need to create your competitive strategies. When it comes to the experience of a professional player, you are provided with four impressive virtual keys with separate functions to control the player. These four virtual keys consist of a virtual key that controls the player; the remaining three virtual keys will be used to perform each player’s techniques while playing. With turn-based competitions in different positions on the stadium, you need to coordinate well with the players in the club. 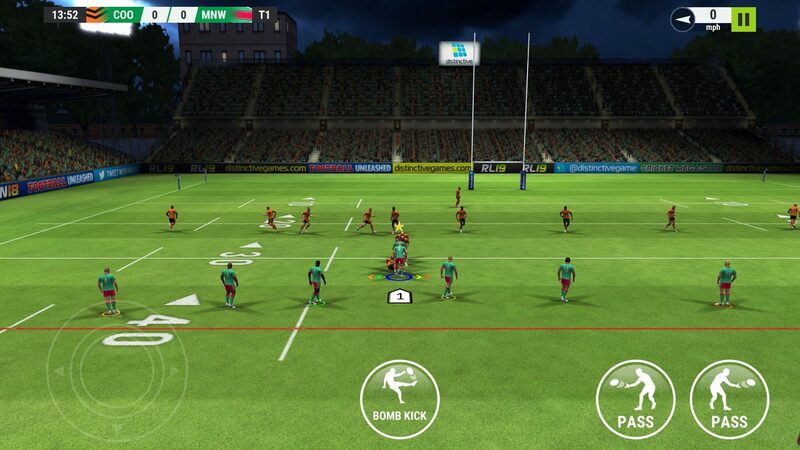 During the attack, you need to quickly make accurate passes to score points on the opponent’s field. When using defensive formation, you need to take down the players who are carrying the ball and prevent the enemy from scoring on the club’s field. 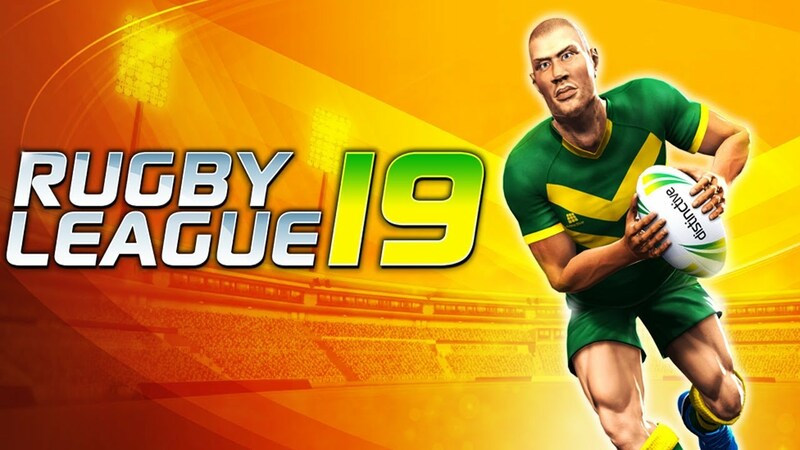 Rugby League 19 APK Mod comes with realistic 3D graphics and huge stadiums and helps you get the most exciting football matches. With many teams and different types of uniforms, you will enjoy many attractive images. Also, the stadiums in the game are designed similar to real-life stadiums. With these realistic designs, your experiences will never be boring. 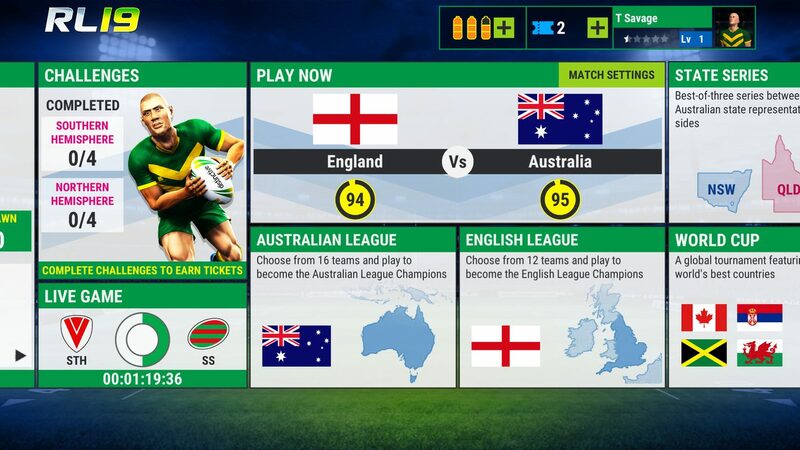 Rugby League 19 helps you enjoy the fun and thrill of being involved in the world’s most intense sport. Many different clubs and online competition opportunities along with players around the world will give you the best time to relax.